Tottenham's Son Heung-min has been quick to praise teammate Fernando Llorente following his impressive recent performances. With talisman Harry Kane currently recovering from a long-term injury, Spurs manager Mauricio Pochettino has looked to Llorente to fill the void left by the prolific Englishman. Llorente had been the target of some criticism in recent weeks, but has now scored two goals and provided two assists in his last four games in all competitions. ​Son Heung-min was a notable absentee from the ​Spurs line-up for three games in January, but has now returned from the Asian Cup and scored in both games he's appeared in since. Referring to Llorente's recent contribution, Son said: "I think this is very important," as per ​ESPN. "Of course Harry and Dele are most important players for us, but injuries are part of football. I don't want someone injured, as a human, but someone has to be ready. "Fernando's doing very well and everyone is ready because we work hard and believe in every single player. It doesn't matter who plays." Tottenham have won three ​Premier League games in a row, and have closed the gap to ​Liverpool and ​Manchester City who have dropped one point and three points respectively in their last two games. "It's good [that other teams have dropped points] but we don't care. We care just about us. We got six points, we're in a good position," he added. "We just believe, work hard and see what's going to happen at the end of the season. I try to enjoy every single moment. Still the season is long. There are a lot of games and there are so many things [that happen] in the games." 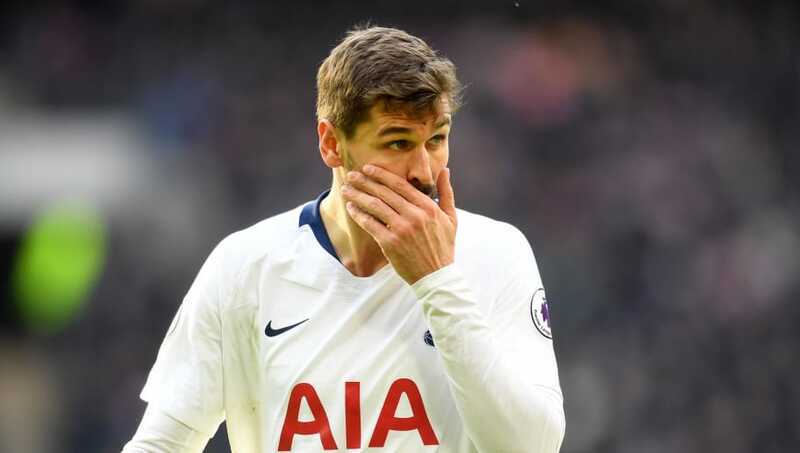 Fernando Llorente and Son Heung-min are two players who's form until the return of ​Harry Kane and ​Dele Alli will be crucial to Spurs in their chase of Liverpool and Manchester City in the remainder of the season.